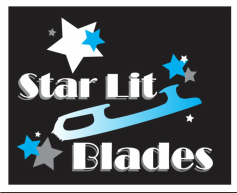 Join us for our Fourth Annual Star Lit Blades 5K Fun Run and Walk! All proceeds will benefit the Star Lit Blades Synchronized Skating Teams. All participants must sign their own waivers, but one registration form may be used for all entrants. Waivers may be turned in at practices, on the day of the 5K, or mailed to PO Box 711444, SLC, Utah 84171. ​If you, or anyone you know, would like to be a vendor or sponsor please contact Ellie Nielsen at starlitblades@gmail.com. Registration: All forms, waivers, and payments are due online or to Ellie Nielsen by August 6th to receive an optional 5K shirt. Late entries are still accepted, they just will not receive a 5K shirt. Please print, read, and sign the 2018 Release Form. Participants must have this form turned in prior to the race.